By combining the power of the C100HT with our specialized glycan kit, today’s lab can screen large numbers of samples and acquire better information–faster than ever. Use the C100HT throughput and mobility for effective real-time cell culture optimization and rapid clone selection and get ready to increase your glycan analysis throughput with confidence and ease. 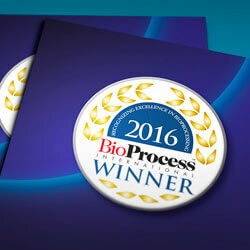 This award-winning glycan screening technology is easy to learn, and fast to implement. 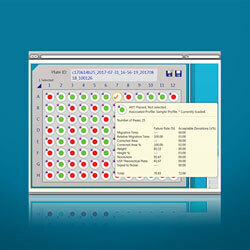 PASS/FAIL results are visual, linking result to sample at a glance. Height adjustable, mobile lab bench for custom placement in your facility. The C100HT greatly simplifies large sample screening, accelerating glycan analysis so you can make better decisions about product or process faster. 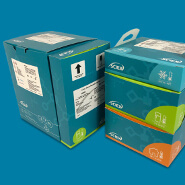 SCIEX C100HT high throughput glycan screening technology is based on a pre-loaded multi-capillary separation array allowing for analysis of up to 12 samples in parallel. Coupled with a validated chemistry assay, intuitive control and analysis software, and automated glycan identification, this results in a truly high throughput glycan screening capability. 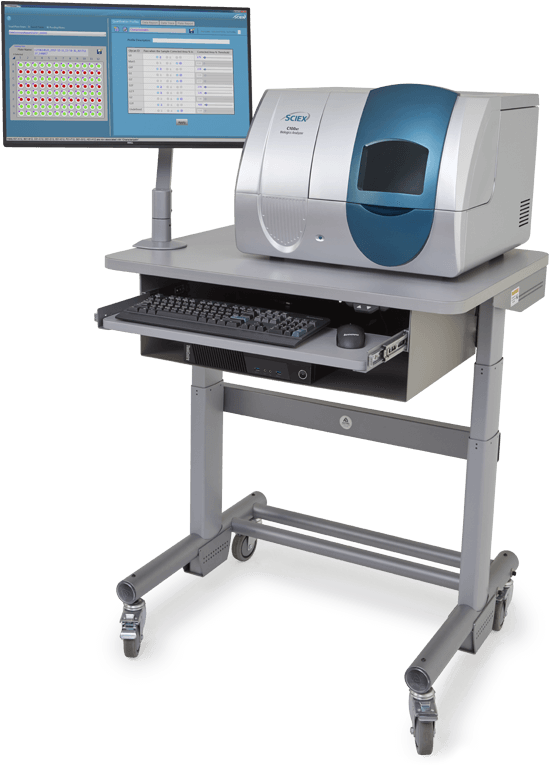 Includes C100HT Instrument, C100HT Controller, Intuitive Software, and 27” Monitor, C100HT Ship Kit, and optional mobile lab bench. 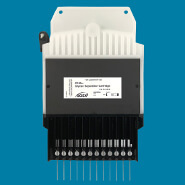 Includes reagent configuration optimized for separation of 1000 samples using the C100HT cartridge. 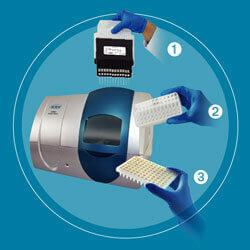 Includes 1 multi-capillary pre-filled cartridge for use with the C100HT Biologics Analyzer. Improved high throughput primary screening techniques enabling analysis of more clones enables better understanding of important characteristics. 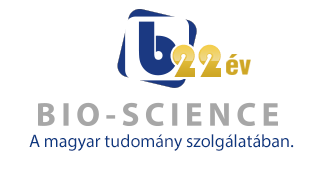 This results in better information with which to make important decisions about biologics pipelines. Glycan screening is part of that process but has been limited by either technology throughput and/or time spent on data analysis. Using award-winning sample preparation technology, intuitive instrument set-up, and fast, visual data analysis, the SCIEX C100HT Biologics Analyzer enables you to significantly expand your clone selection and cell line optimization workflows. 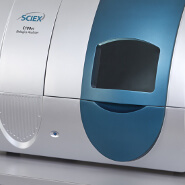 The C100HT uses SCIEX award-winning separation chemistry and methods that allow preparation of 96 samples in less than two hours with automation. 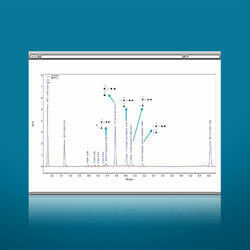 Simply input glycan acceptance criteria in the intuitive analysis dashboard, and link the result to sample at a glance. Detailed information on each individual sample, including identification of major glycan species, can be reviewed and reported to help you make the right decision for clone selection and cell line optimization.